Kathmandu– As many as 24 people were injured when a bus met with an accident at Chalnakhel this morning. The bus with registration number Na 3 Kha 1444 met with an accident at Hattiban, Chalnakhel at 7 am, causing this many casualties, police said. The passenger bus operated on the Pharping - Old Bus Park route. Police said the bus skidded on the muddy road. Among those injured, 12 are being treated at the Manmohan Hospital Swoyambhu and 12 at Vayodha Hospital, Balkhu. Meanwhile, three people sustained injuries when a mini-bus fell into the Trishuli river from the Prithvi Highway at Ghoptebhir of Icchakamana rural municipality-4 in Chitwan district. The mishap occurred on Monday night. 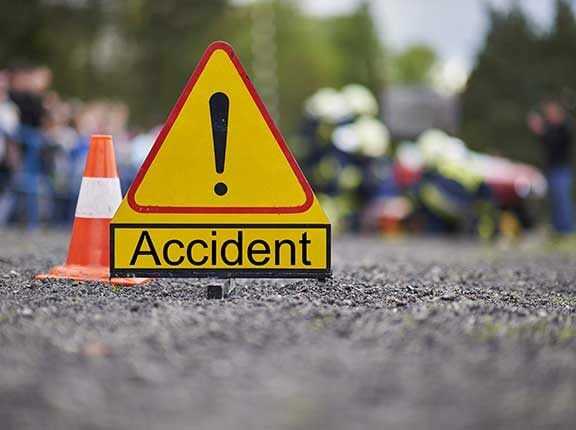 The District Police Office, Chitwan said the bus (Na 5 Kha 3682) fell 200 metres down from the road on the side of the Trishuli river at 10 pm on Monday. The mini-bus was going towards Kurintar from Muglin. Among the injured, the condition of Nishan Pariyar of around 25 years from Damauli, Tanahun district is said to be critical. He is undergoing treatment at Purnao Medical College Bharatpur.